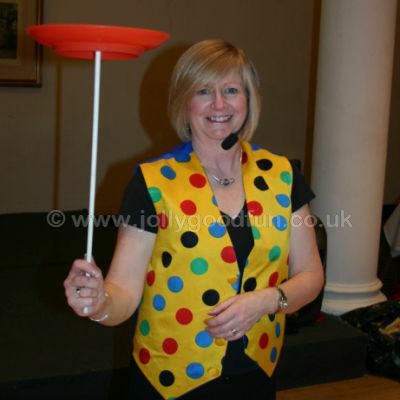 Children's Christmas Party Entertainment. 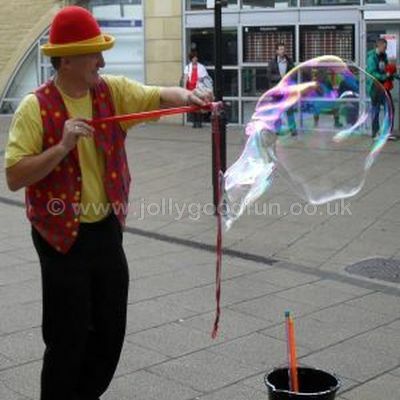 Shows and entertainment for Christmas events and children's Christmas parties in Yorkshire, County Durham and the North East. 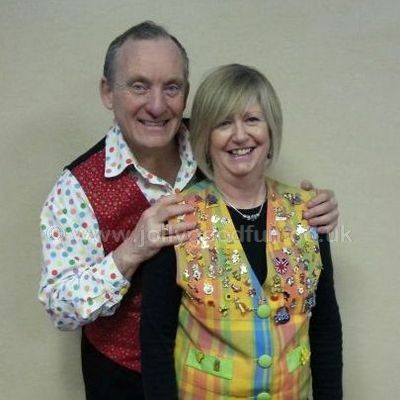 Prices from £425, includes Ron and Hazel for up to three hours of Christmas party entertainment. 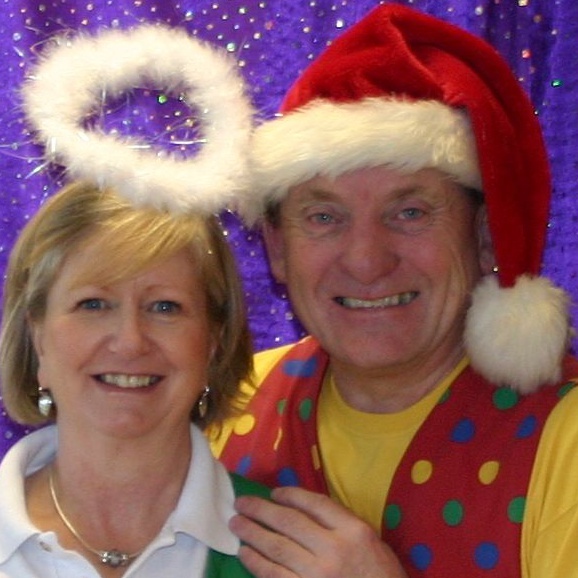 Ron and Hazel Wood, Jolly Good Productions, provide entertainment for any Children's Christmas Party. 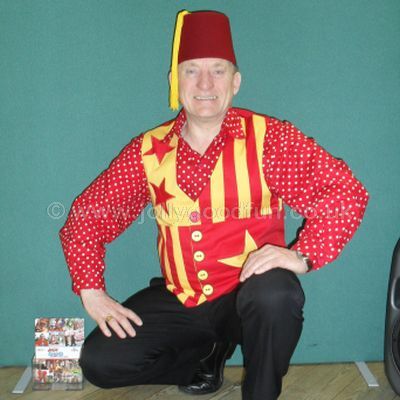 Ideal for a company party or any club or organization holding a Christmas Party for their members families. 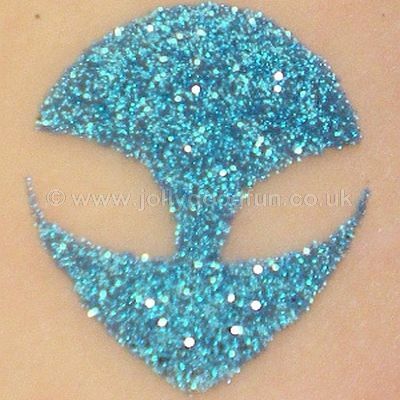 Perfect for Schools, Children's Centers and Nursery Groups too. 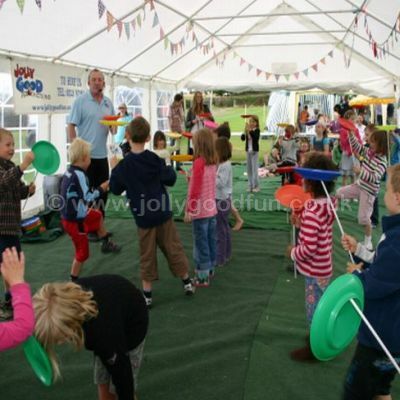 We have packages to suit Christmas Party events from twenty children to three hundred children or more. 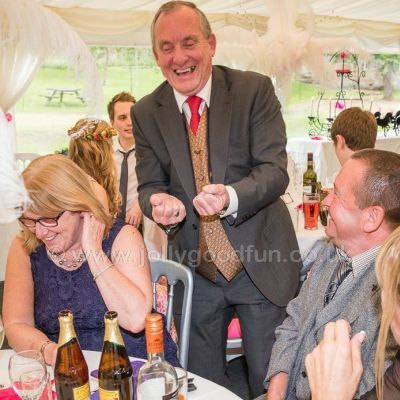 We can also provide additional entertainment such as a photo booth, stalls, inflatables, racing simulators and more, if required. 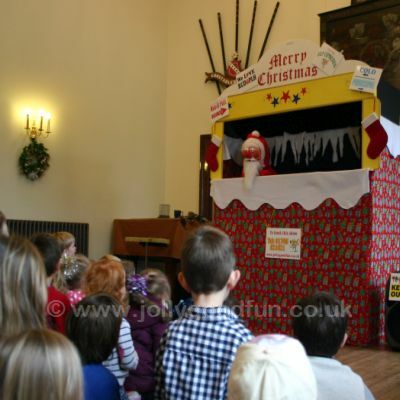 The Christmas Puppet Show is brilliant entertainment for	children between the ages of three and eight years of age but older children and parents enjoy the Christmas Puppet Show too. 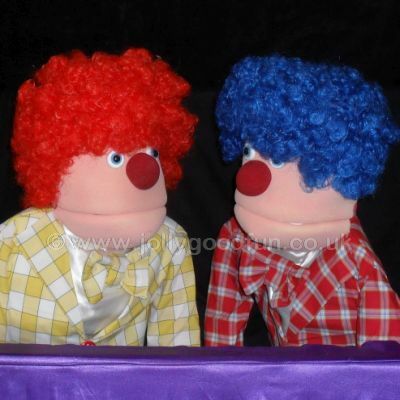 The show has lots of great puppet characters, lots of funny business, joining in and magic too! 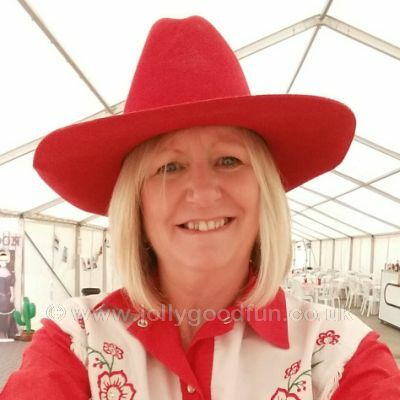 The full length show lasts sixty minutes but there is also a shorter version which can be twenty to thirty minutes if required. 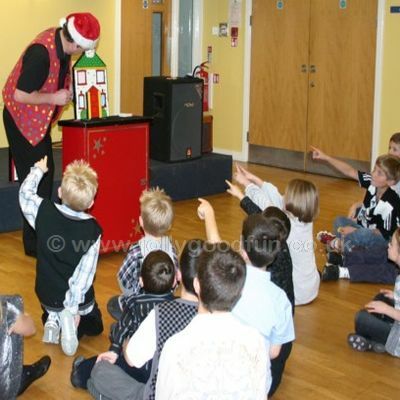 The Christmas Magic Show is packed full of tricks and fun guaranteed to entertain and delight children of all ages. 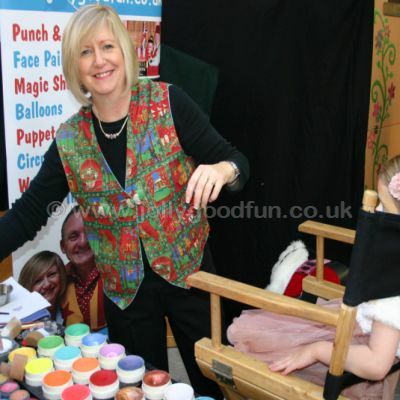 Special Christmas Magic adds to the festive theme. 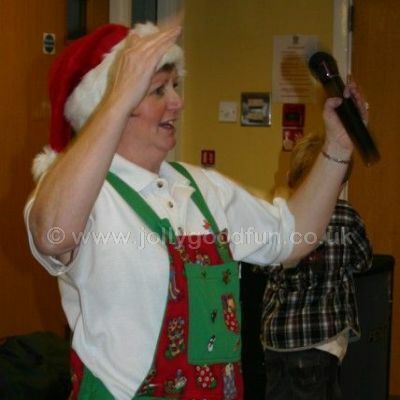 Hazel's Christmas Disco will soon have everyone joining in with dancing, games and prizes. 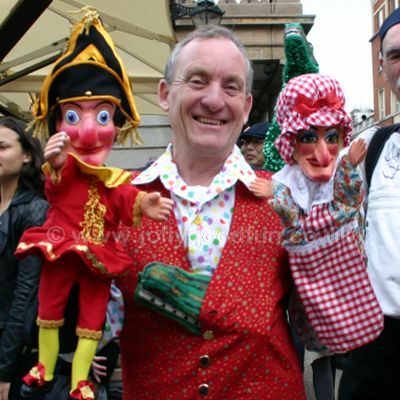 All the latest pop music, party favorites and Christmas songs for megga Christmas fun! 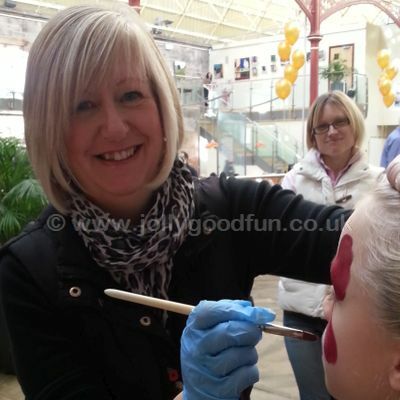 Face Painting with a Christmas Theme. 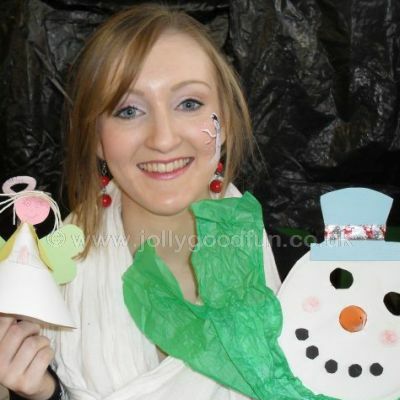 Snowmen, reindeer, Santa, elves, angels, Christmas scenes, characters and more. 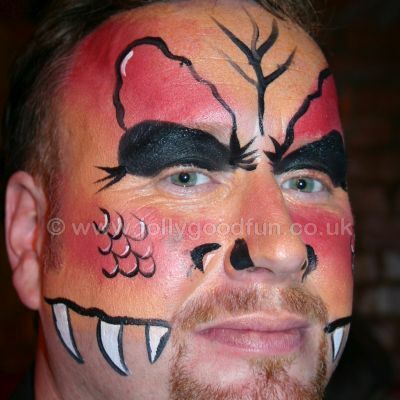 Remember we can do approximately one face every five minutes so you may need more than one Face Painter. Please ask. 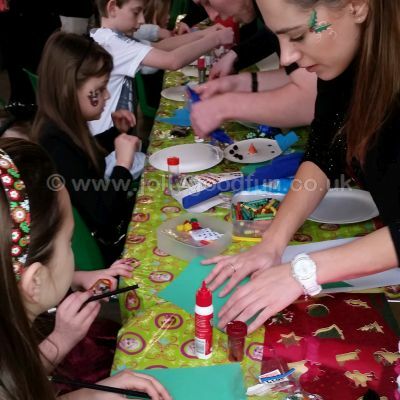 Children will have a great time making a selection of different Christmas craft projects. We provide all of the materials and equipment. 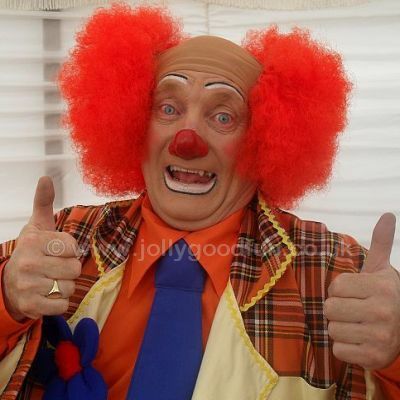 Fully supervised by Jolly Good Productions staff. 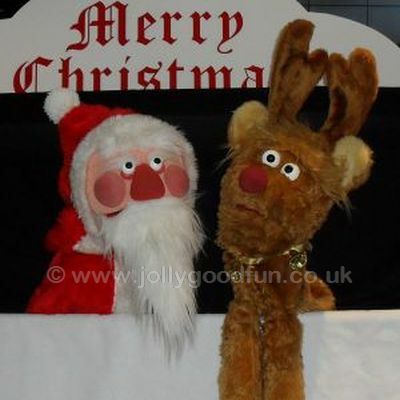 Rudolph The Red Nosed Reindeer is always a big hit with the little ones. 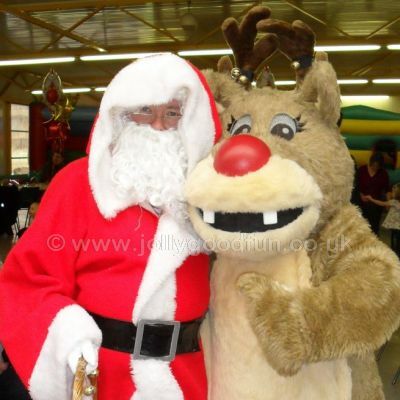 Rudolph loves meeting the children who can't resist giving him a hug or a friendly hand shake. 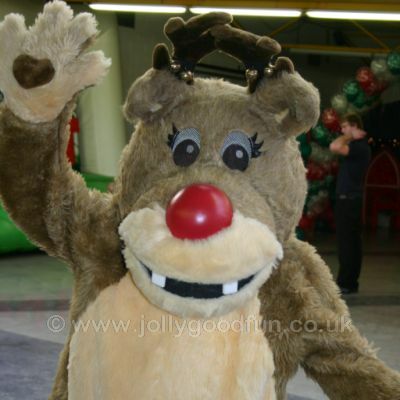 Rudolph loves to dance and join in with the party. No Christmas Party would be complete without a visit from Santa Claus. Leave it too us. You supply the presents and we will bring Santa Claus. 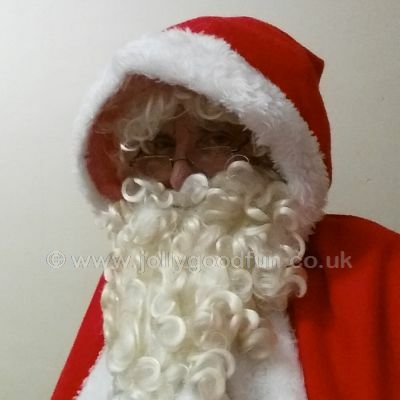 Please note: We ONLY do Father Christmas as part of a party package. 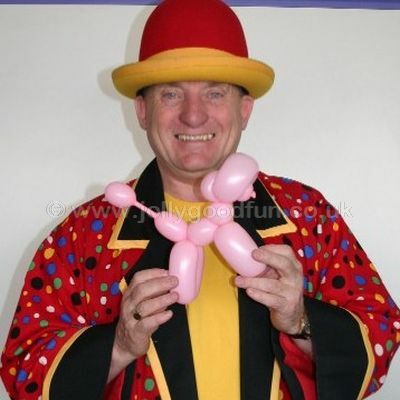 Add extra atmosphere to your party with exciting, eye catching balloon displays! 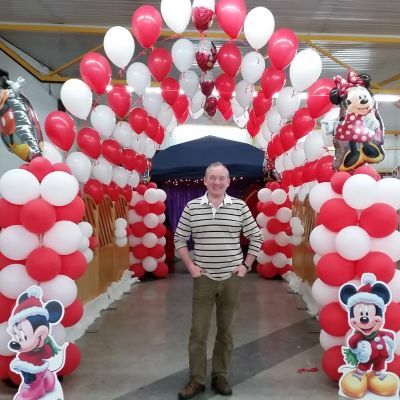 We can make fantastic table decorations, arches, columns and characters in balloons. 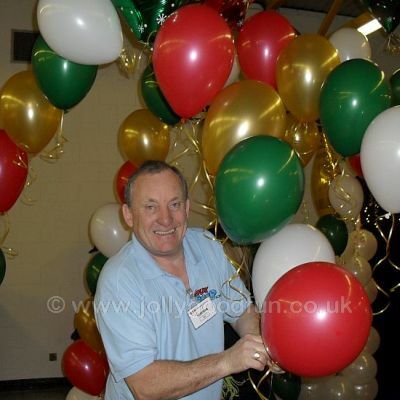 Turn your function room or party space into a Christmas Wonderland.